1. Site customization with your affiliate ads. Purchase this service if you have also purchased a hosted website and wish us to customize the affiliate adverts for you. Please also send a separate email with login details to all your affiliate programs. 2. Site migration/upload to your host. Purchase this service if you have also purchased a website as a digital download and wish us to upload the site to your hosting (or ours if you’ve also purchased hosting). Industry standard Cpanel is required for this service, ask if in doubt (don’t forget to email your hosting login details please). Be advised that we do not install websites to non-CPanel or non industry-standard Cpanel hosting accounts, like iPage. We now install to Godaddy hosting since they now have Cpanel. 3. BOTH services above w/special discount. Self-explanatory… enjoy the $10 discount! No need to mention the importance of having a site fully updated and as smooth and fast as possible, for best 1) search engines results 2) visitors experience and 3) to avoid the site slowing down or even go down and getting hacked, which may happen if the site is poorly maintained (especially with automated sites, and particularly with aggregators). In some cases (if necessary) we may add caching and/or security. 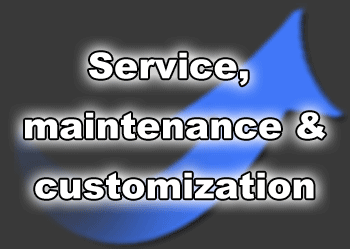 Some customers ask for this service to be performed monthly but in fact, this is not necessary. 2/3 times a year would be sufficient, of course, again it all depends on the site, traffic etc. HIGHLY RECOMMENDED WITH AGGREGATORS/AUTOMATED TYPE OF SITES THAT KEEP GROWING! After purchasing the service please make sure to send an email with your site(s) URL, WordPress login details to access the site(s) (username and password), and, if you host elsewhere, CPanel login details too (username and password).